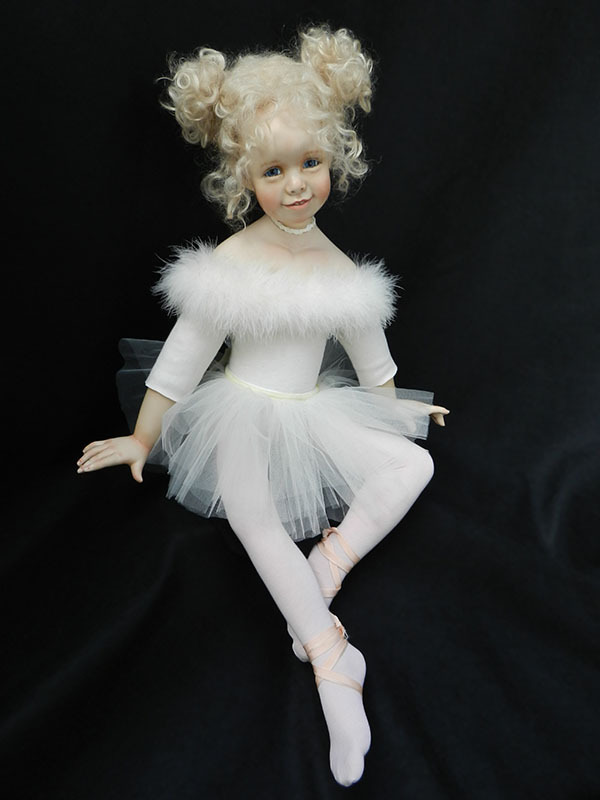 Little Ballerina is dressed in a cream ballet dress trimmed with feathers, all ready to dance Swan Lake. 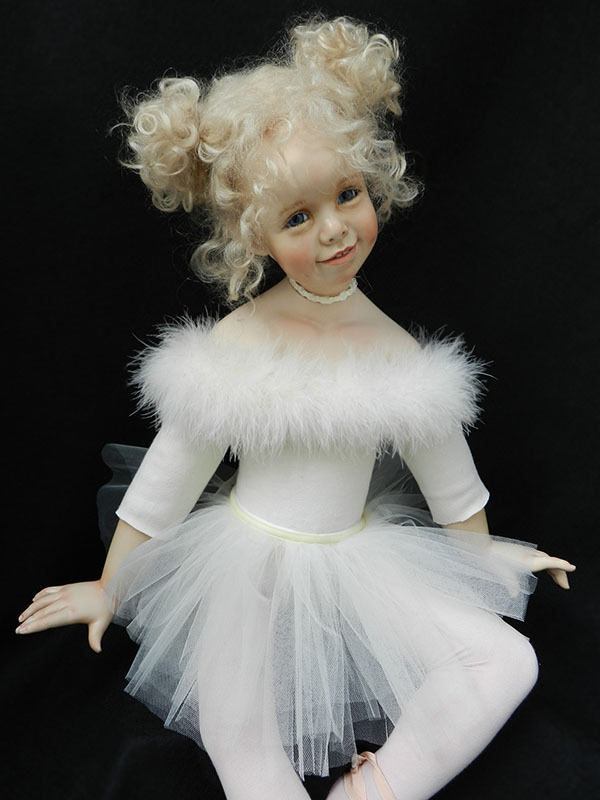 She has a curly blond mohair wig and is 19” tall sitting. Her limbs and head are wax over porcelain.